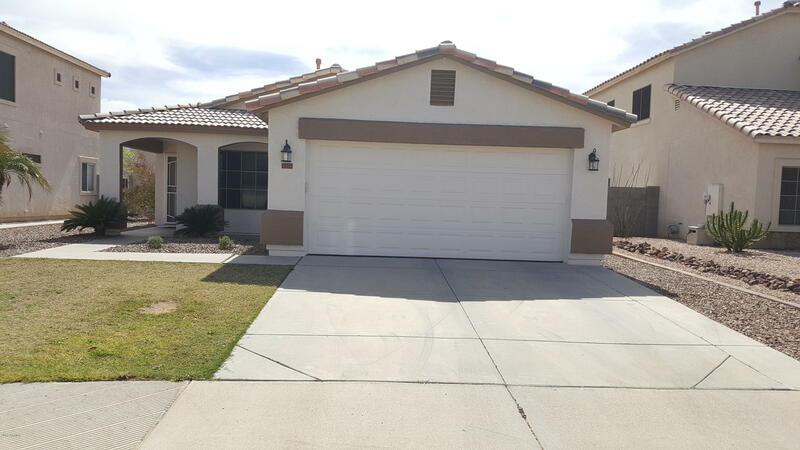 All Roseview homes currently listed for sale in Surprise as of 04/23/2019 are shown below. You can change the search criteria at any time by pressing the 'Change Search' button below. "This home is a must see! Move in ready! Impressively upgraded. Home has been newly painted outside, and inside. Kitchen is beautiful brand new granite counter tops , and back splash. Laundry room has extra cabinets and counter top. Spacious master with walk in closet including wood cabinets. Backyard is newly landscaped. Garage has shelving and workbench. Sunscreens and ceiling fans North South Exposure. Come see this Home!"